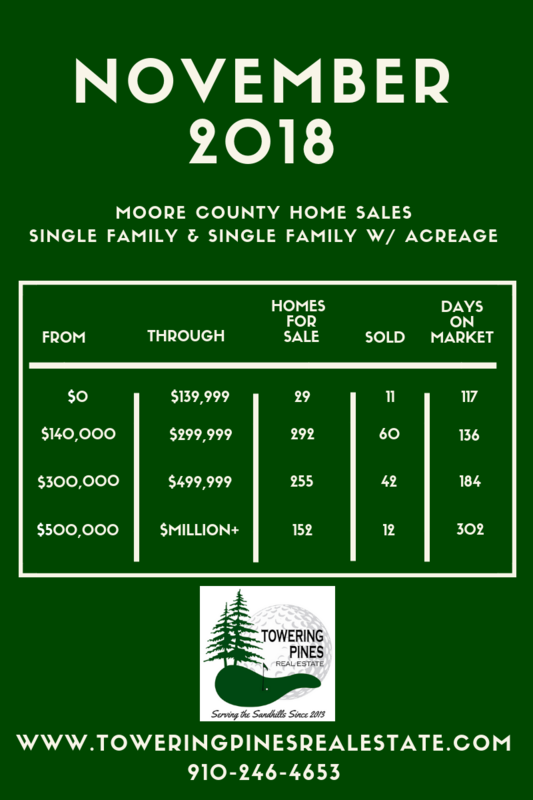 The Moore County real estate numbers for November show there are fewer new listings and fewer active listings from October. This indicates the market remains tight. Whether you are buying or selling, contact a Towering Pines Real Estate Agent today to help you navigate this seller's market.